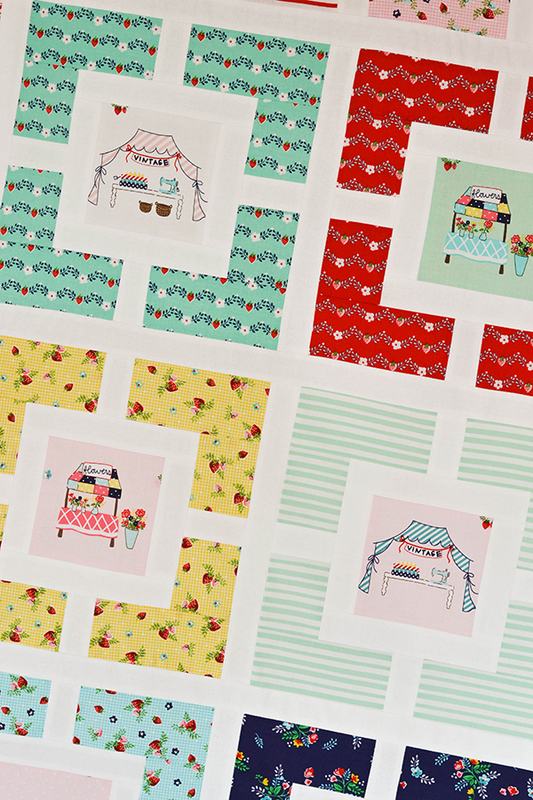 Have you seen 30s Minis by Penny Rose Fabrics, sister company to Riley Blake Designs? 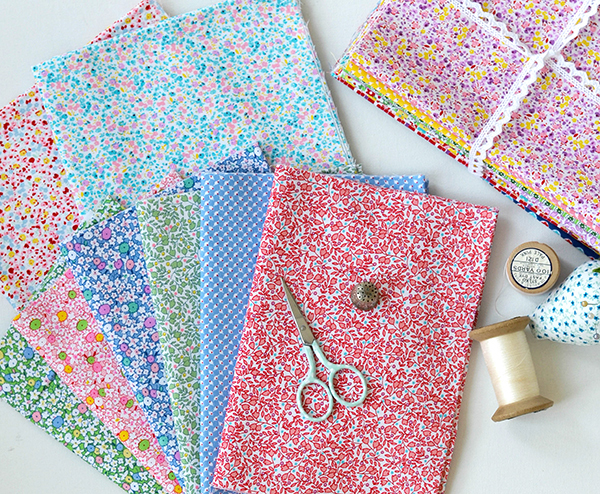 It's the sweetest collection of repro 30s fabrics, all in miniature! 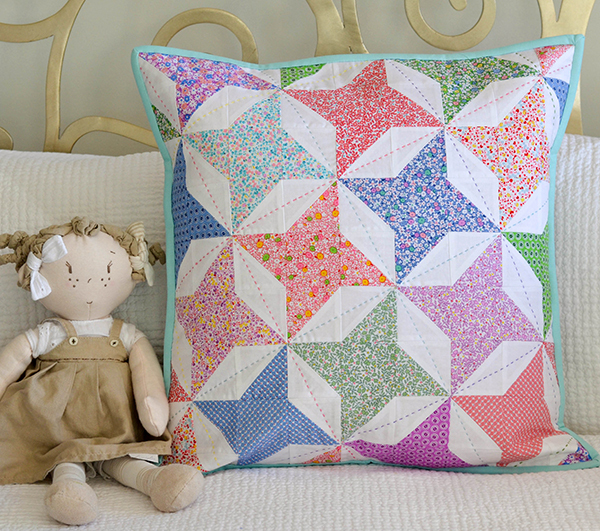 My first project with these pretty fabrics was a HST cushion - the pattern is by Little Miss Shabby and was featured in this post for Sew Mama Sew. 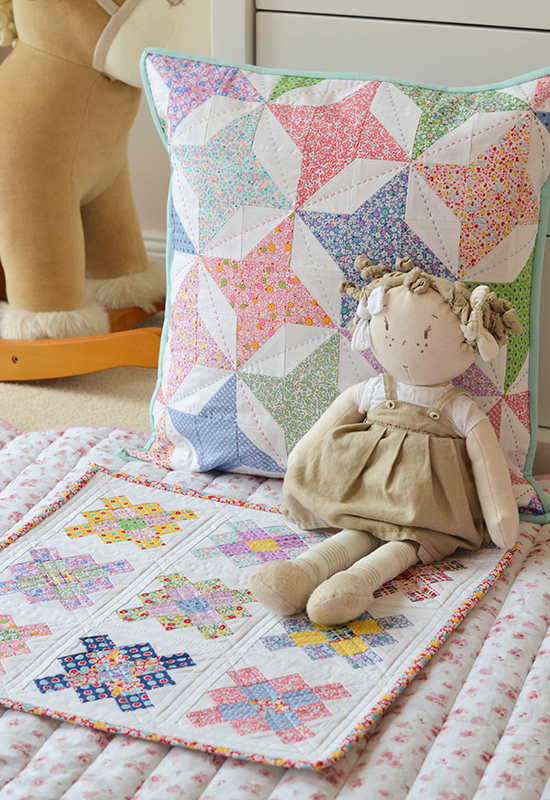 Simple and effective use of half-square triangles, and a touch of whimsy with the multi-coloured hand-quilting. 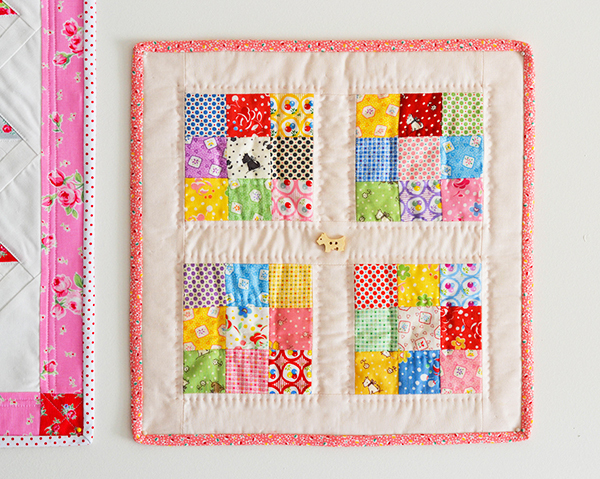 I also made a mini-quilt for my rapidly growing mini-wall. 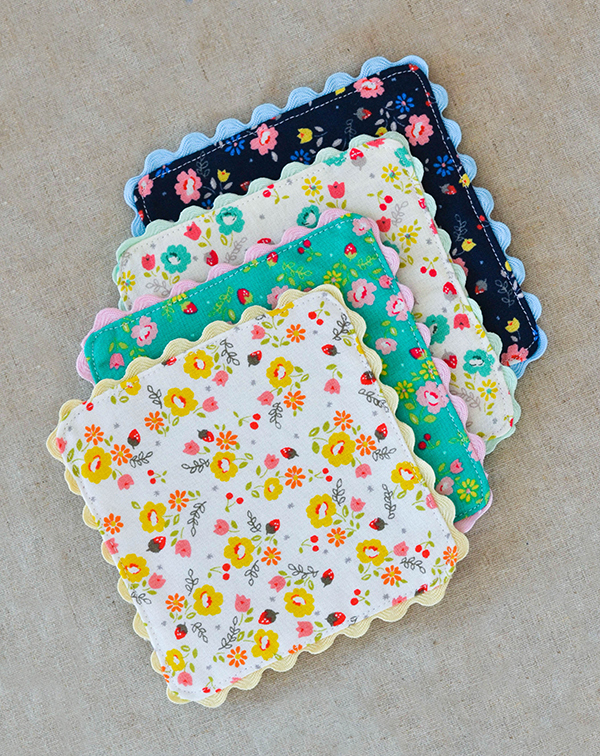 Little granny squares are so wonderfully traditional and a great match for the repro feel of this fabric line. 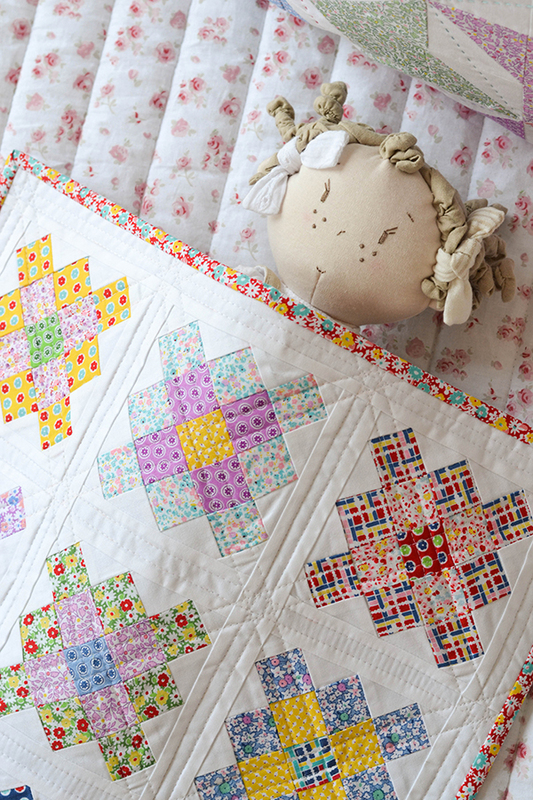 The 'Little Granny' mini quilt pattern is by my dear friend Stacy from Stacy Olson Design and is available in her Etsy shop at 20% off the usual price until midnight, Saturday, July 4th US CST. 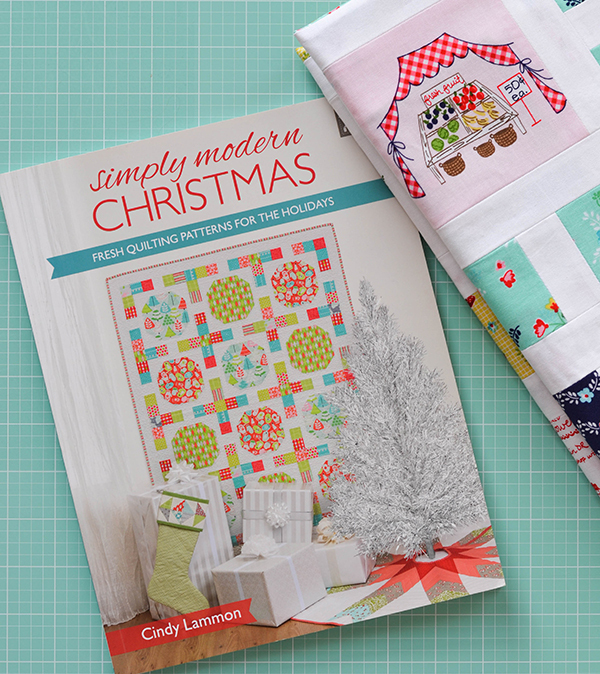 Check out Stacy's Instagram feed also, she is such a talented quilter and is a constant source of inspiration for me. 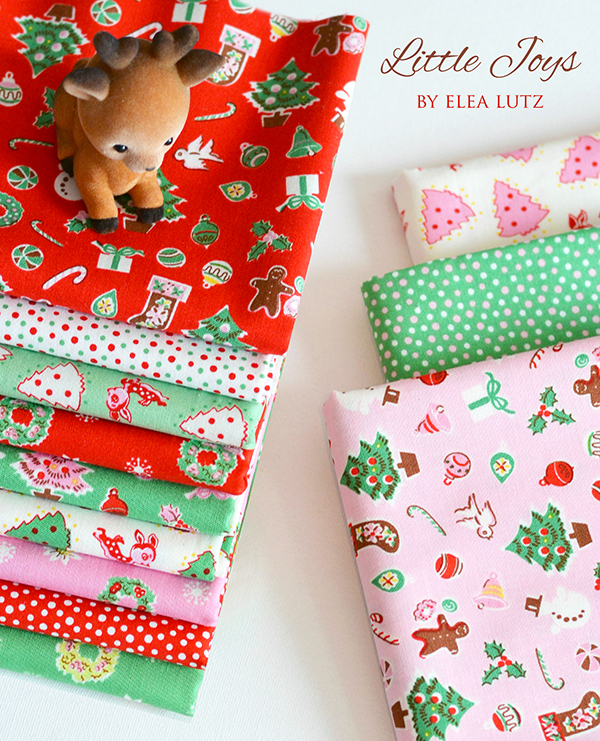 Do you remember the pair of pompom Christmas cushions I recently made with Elea Lutz' new line 'Little Joys'? 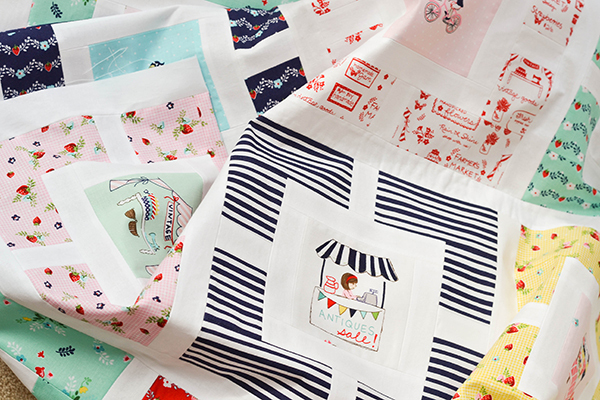 You will be delighted to hear that this gorgeous fabric line is now available in stores, and to celebrate that Elea & the Fat Quarter Shop have joined hands to run a quilt-along! And I have been invited to join in! 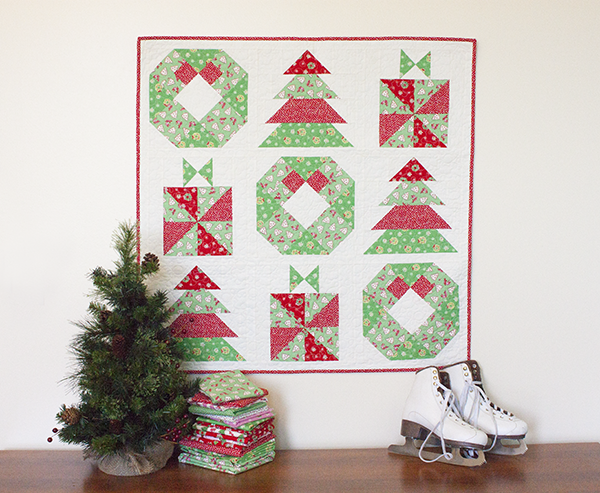 The quilt-along will run through July and we will be sewing three novelty holiday blocks to create the most adorable, Christmas-tastic wall hanging designed by Elea herself! 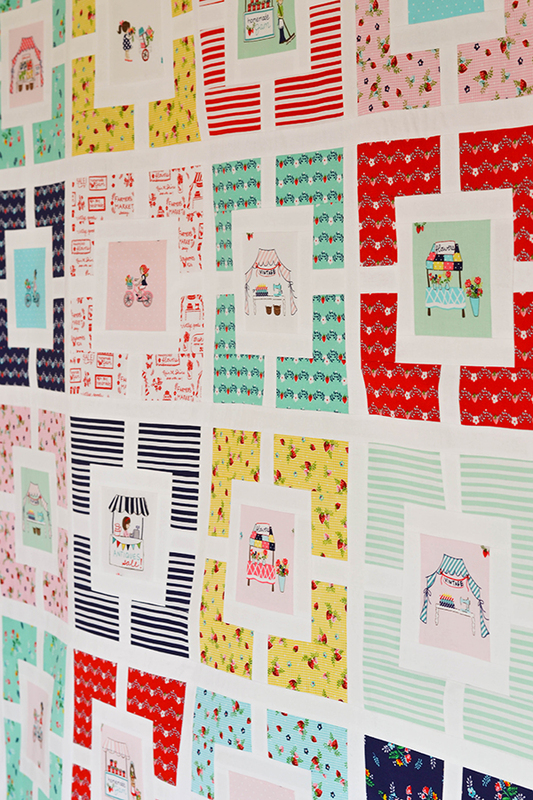 Each week starting July 8 the Fat Quarter Shop will release a free block pattern on their blog at which time I will also share my finished block on Instagram so you can follow me there if you want to see my progress! 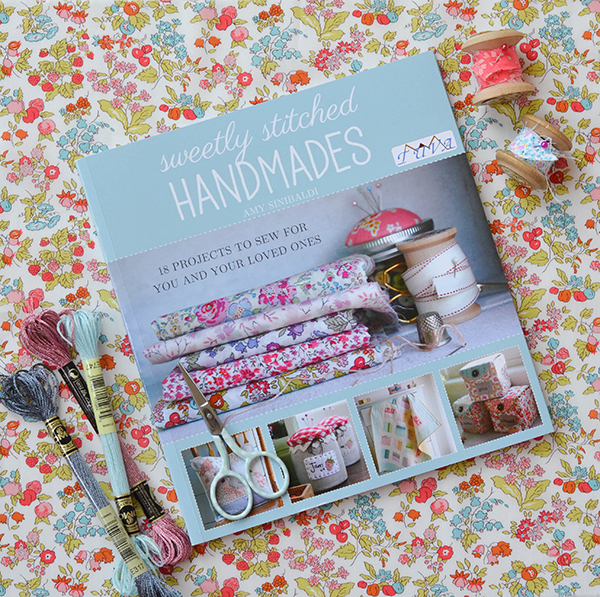 I’ll be sewing along with this group of amazing designers and bloggers. 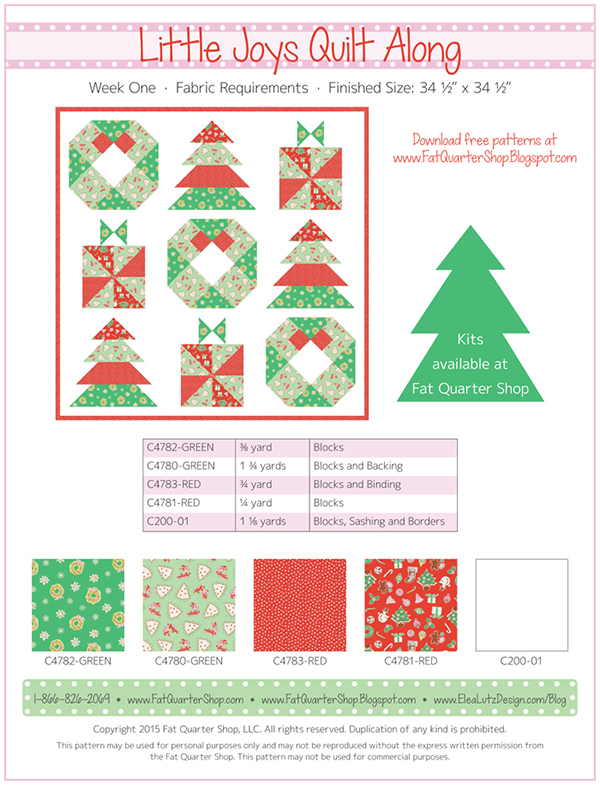 Make sure to hop over to their websites / Instagram feeds and be inspired by their Christmas blocks, too! 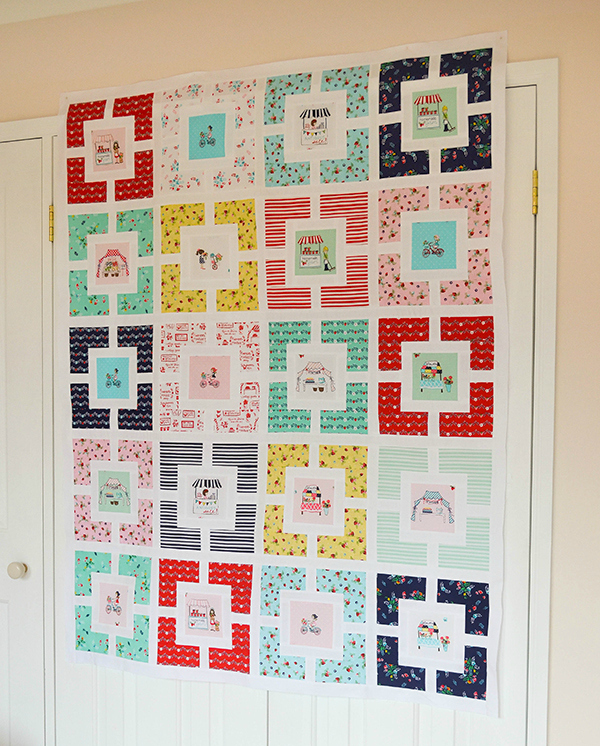 Here is the link to the quilt along page which has all the details. 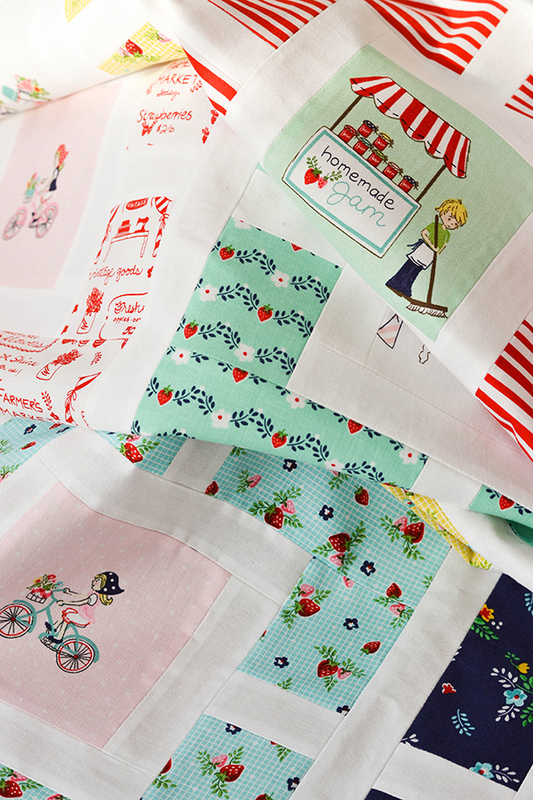 You can grab an exclusive Little Joys quilt kit from the Fat Quarter Shop, or download the fabric requirements PDF if you would like to use your own fabrics. 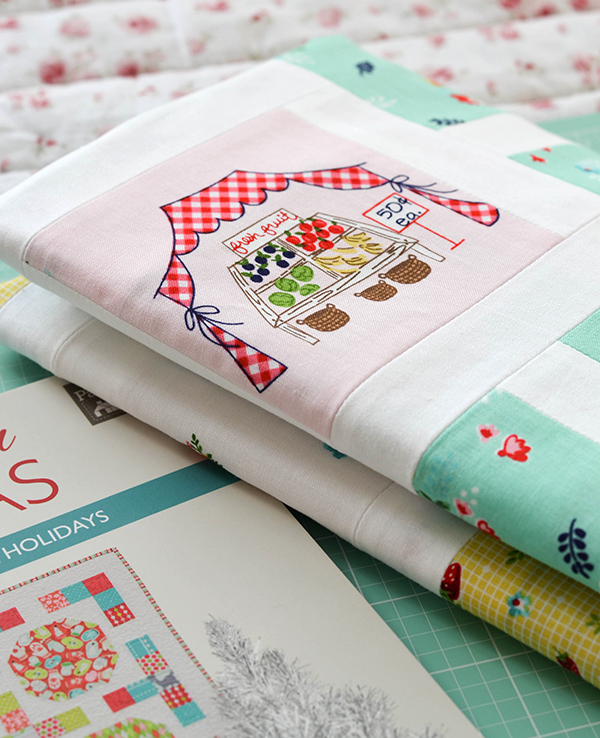 Come and join in on the festive fun and get a headstart on your Christmas sewing! Amy Sinibaldi's long awaited first book is now out, and after much anticipation I have finally received my copy. I am saying her 'first' book as I have no doubt it won't be her last! 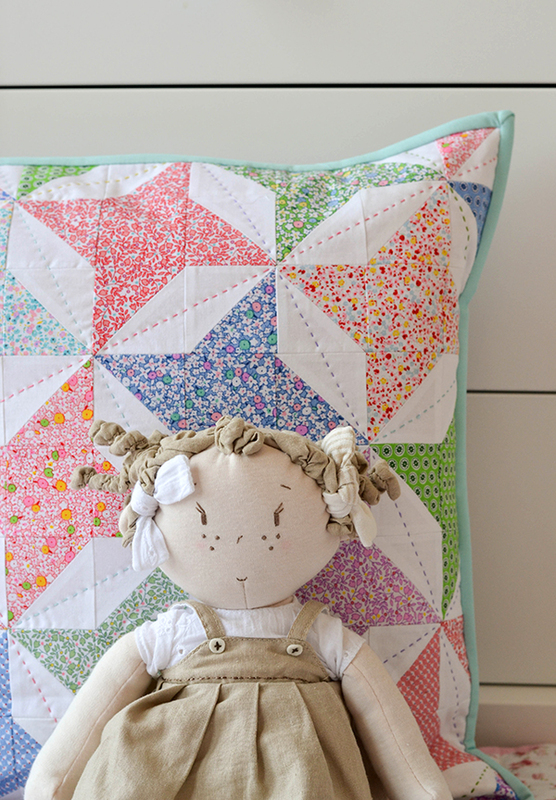 Amy (of Nana Company fame) is one of the rock stars of my world. 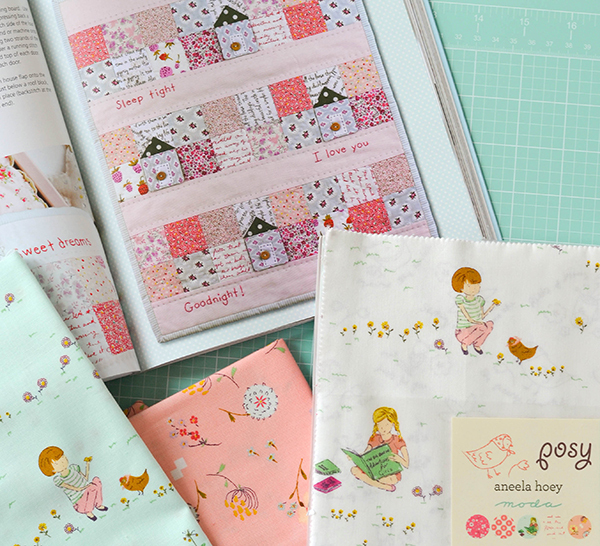 She is an incredibly talented designer and I find everything she makes truly inspiring. 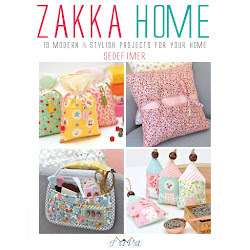 There are few craft books I own that have me itching to make every single project in them, and this is one of them (and the reason why there will be further installments to this post). 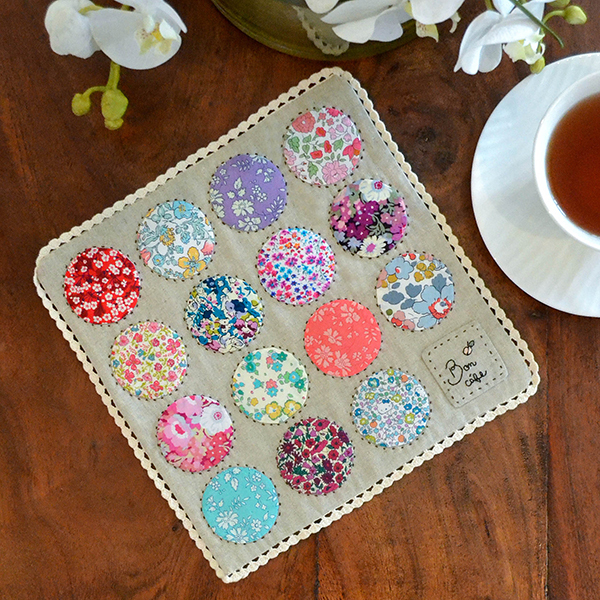 My first project from the book was the 'On The Spot Trivet'. I learned a new technique that I've never used before - using light weight interfacing to make easy applique shapes. So clever! 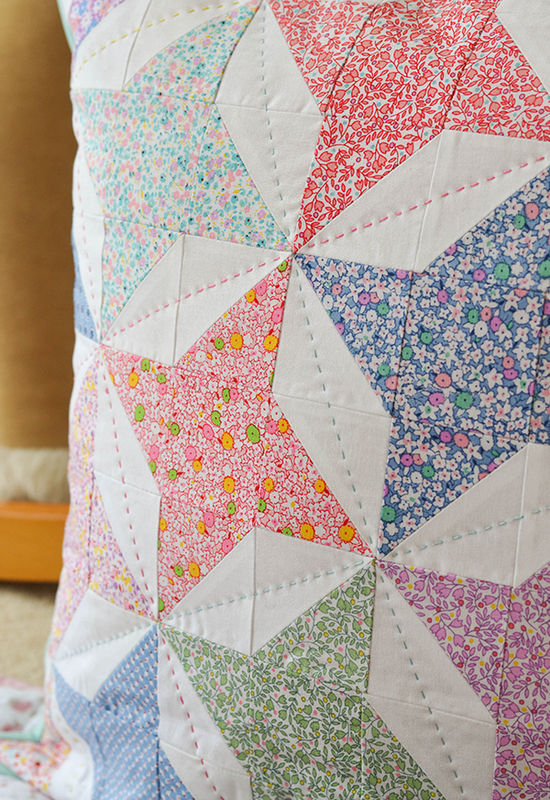 I paired linen and Liberty tana lawn for this 'trivet', which really is not a trivet technically as I didn't have any Insul-bright. And as if I would actually put pots on such a precious piece of work! 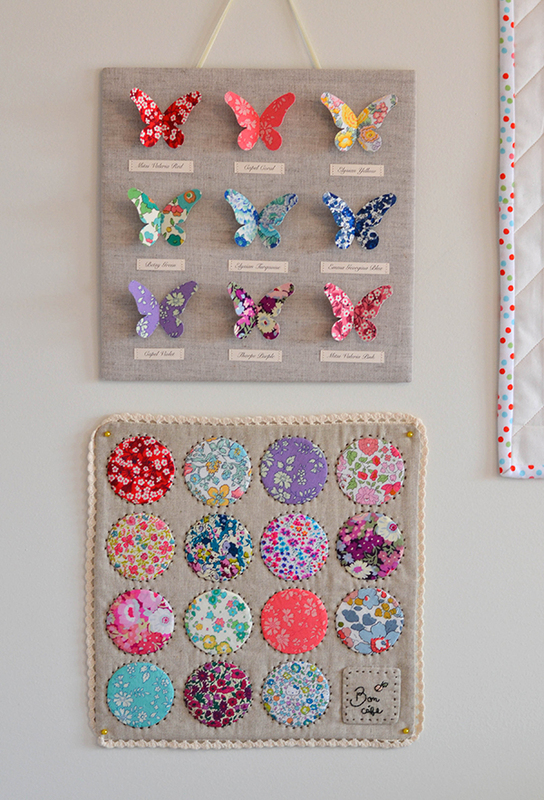 Instead it is now hanging in my sewing room underneath the Liberty butterfly wall art I got from Sew Sweet Violet - a lovely corner of floral sweetness on my wall! 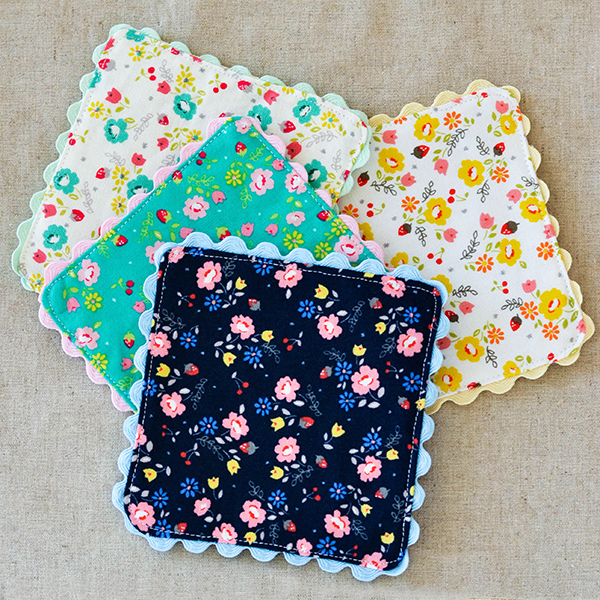 My second project from the book was a sweet set of ric-rac edged coasters. 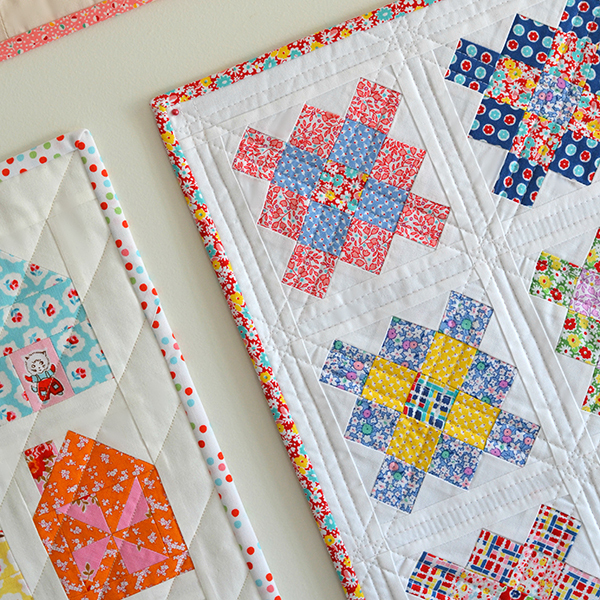 These were a thank you gift for my dear blogger friend Xanthe from Wife-made. 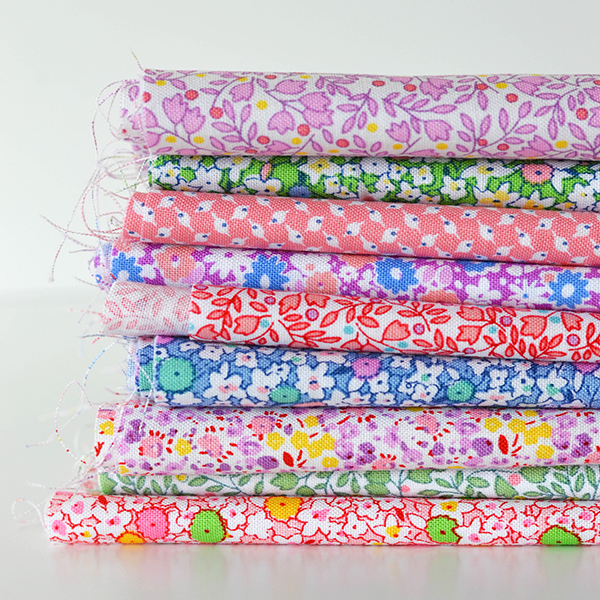 The fabric I have used are Lighthearted by Ayumi Takahashi for Kokka. 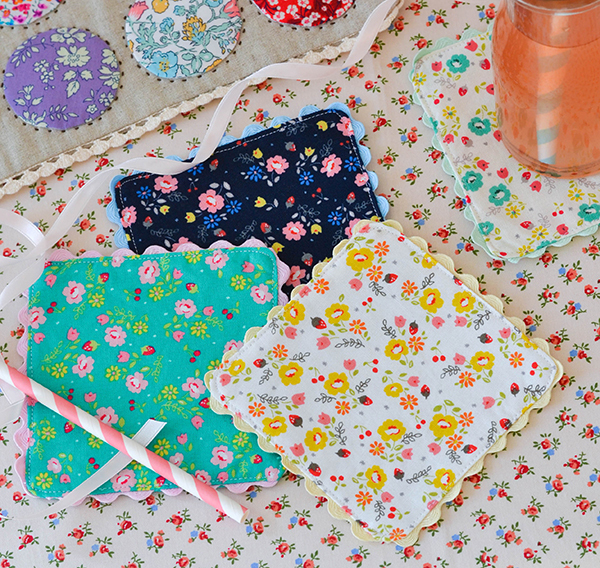 They are so quick and easy to make and are perfect when you only have a little bit of time to whip up a charming present. I will definitely be making more. 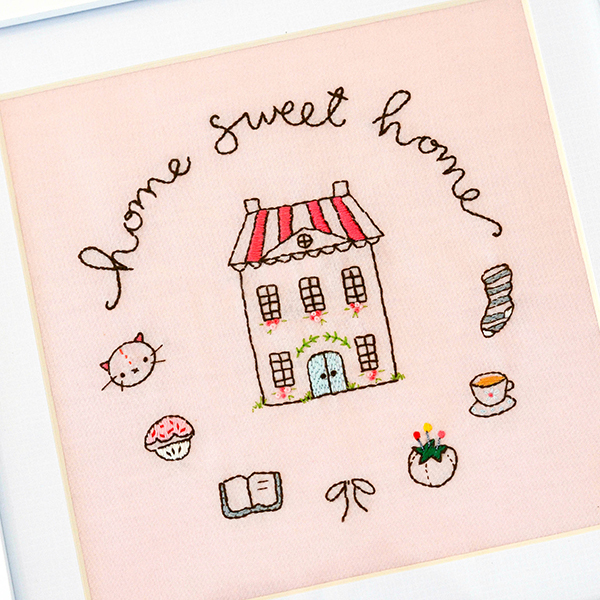 My next project was the 'Home Sweet Home' embroidery. 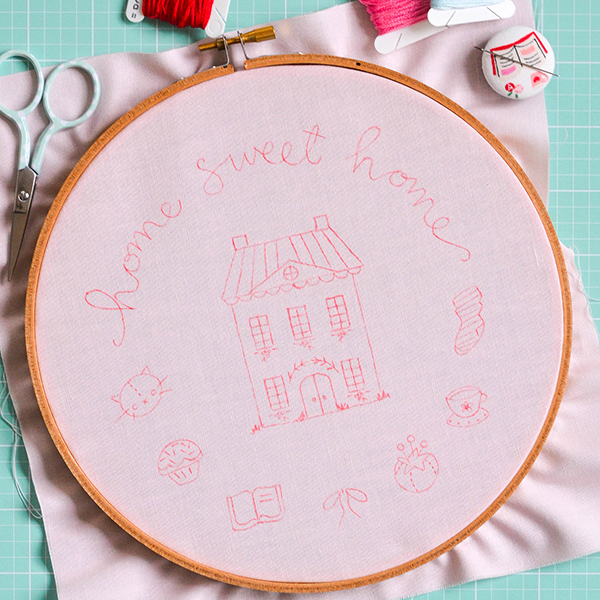 I use Pilot Frixion pens for tracing my embroideries - many moons ago I shared a tutorial on my technique here. 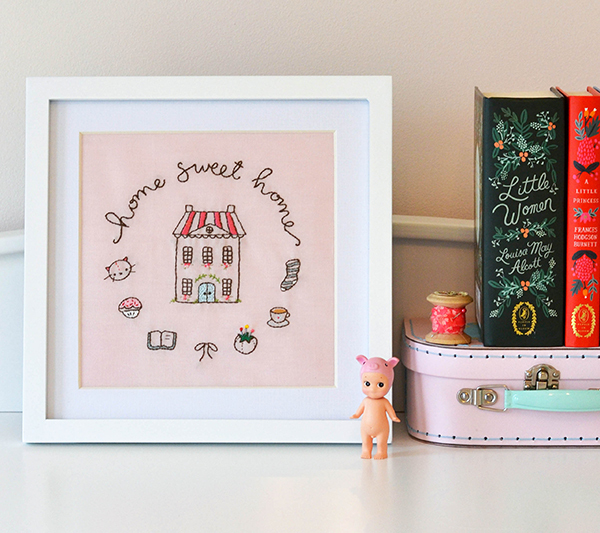 I had a spare square frame just the right size for this embroidery, so it now hangs in my daughter's room. It would make a charming hoop art or cushion centre also. 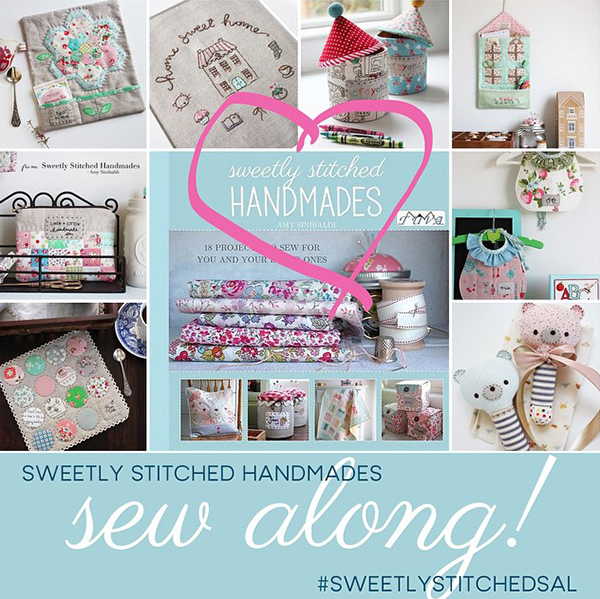 Just before I go, I wanted to let you know about an Instagram sew-along completely devoted to this book - hosted by @ohhowsweetco and @sameliasmum. 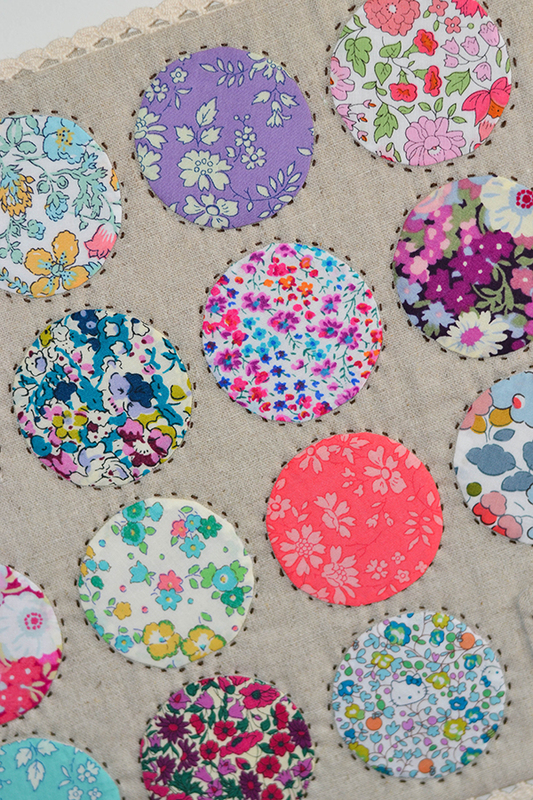 There are six "rounds" in the sew along, each lasting two weeks (round 2 is finishing this weekend). There are prizes, hand-picked by Amy, for the winner of each round and a grand prize at the end! 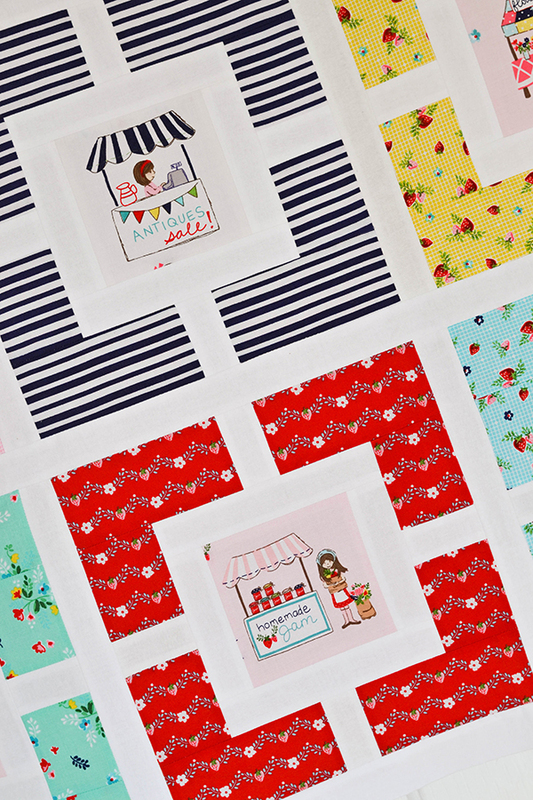 If you love all things Nana Company come and join in on the fun! 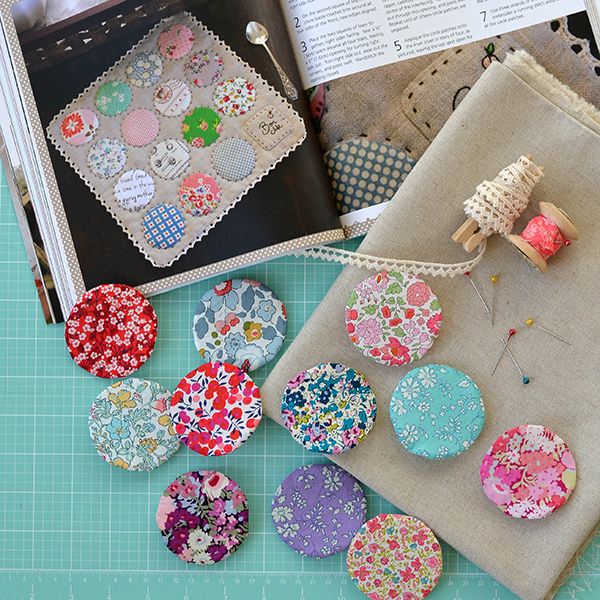 I will be back for more projects from this sweet book soon - here's a peek at what I am making next! 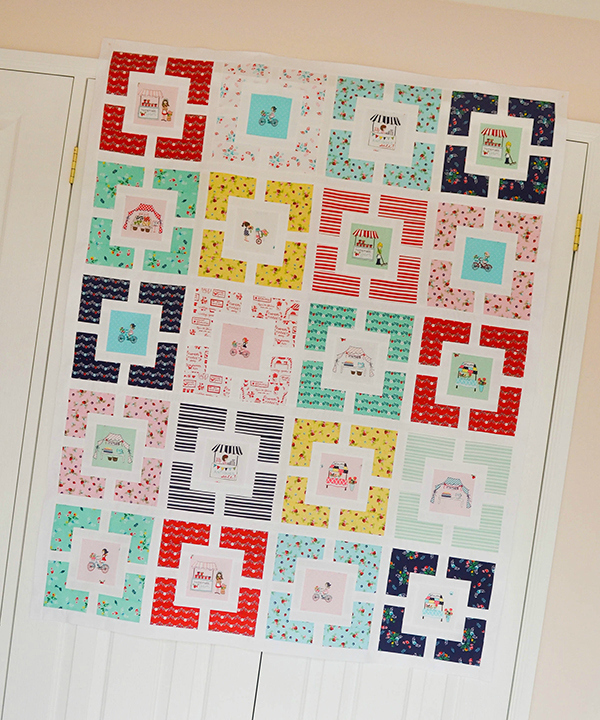 Here is the latest addition to the mini quilt wall of my sewing room. It's really beginning to come together, I have a few more minis to add and then I will be able to show you some pics! I made this mini on a whim the other night. 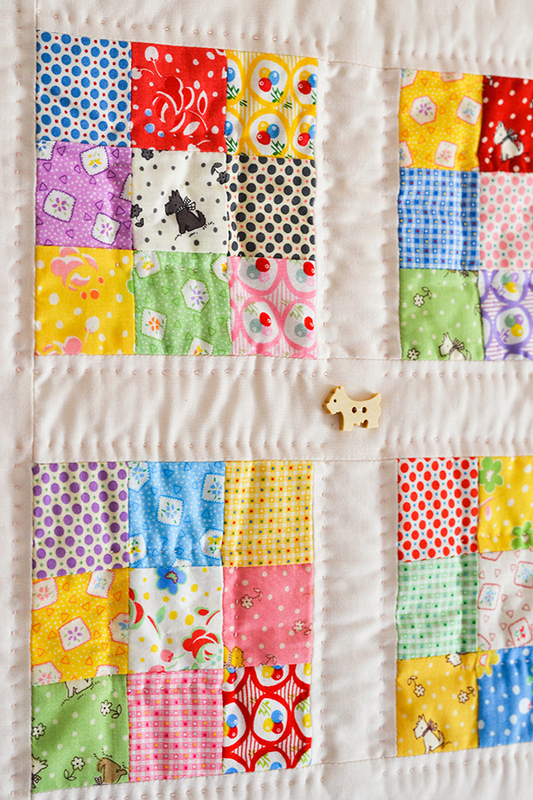 It was super quick to piece, and I hand quilted it on the couch during evening TV time. 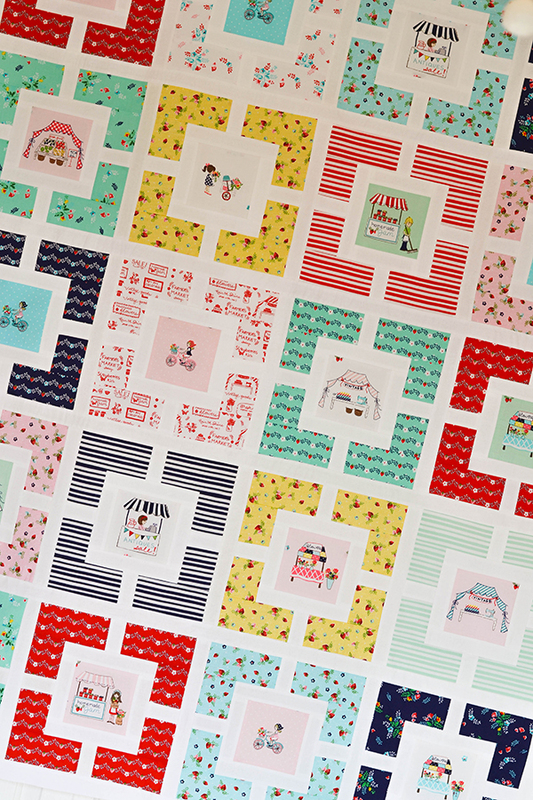 The fabrics are Lecien's new line Retro 30's Child Smile 2015 Spring, with the exception of the binding which is from their Old New 30s collection (and probably my favourite binding fabric of all time - I have yardage stored away in every colour of this collection!). 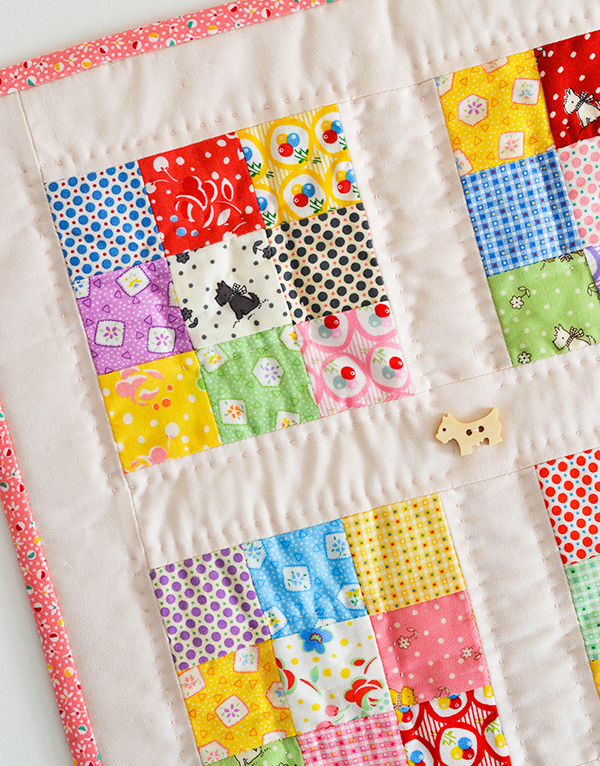 I didn't use a pattern, just made some 9 patch blocks of 2" square fabrics and added 2" sashing in a pinky cream solid cotton between the blocks and then all the way around. 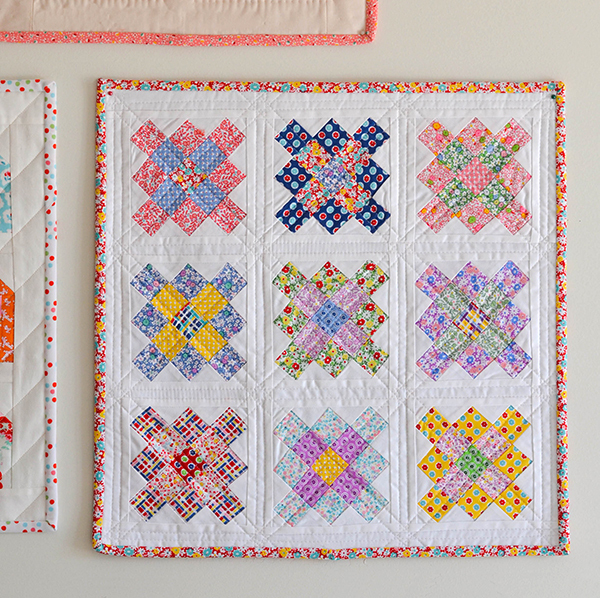 To make the 9 patch blocks I pieced together 3 rows of 3 squares, then ironed the seams in alternate directions (top row to the left, middle row to the right, bottom row to the left), so that when I stitched the rows together the seams butted (essential for precise intersections). I have used a scant 1/4 inch seam for the whole project. 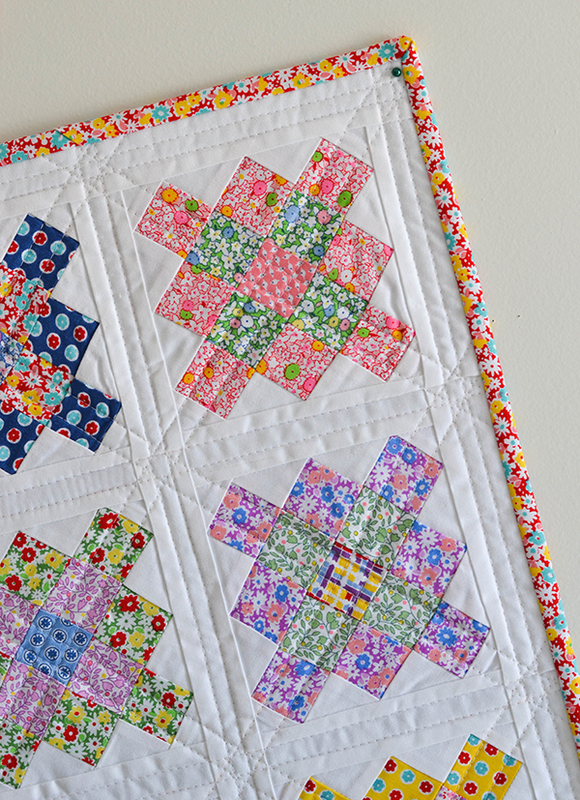 It's a super simple pattern that can be scaled up very easily to make larger quilts. 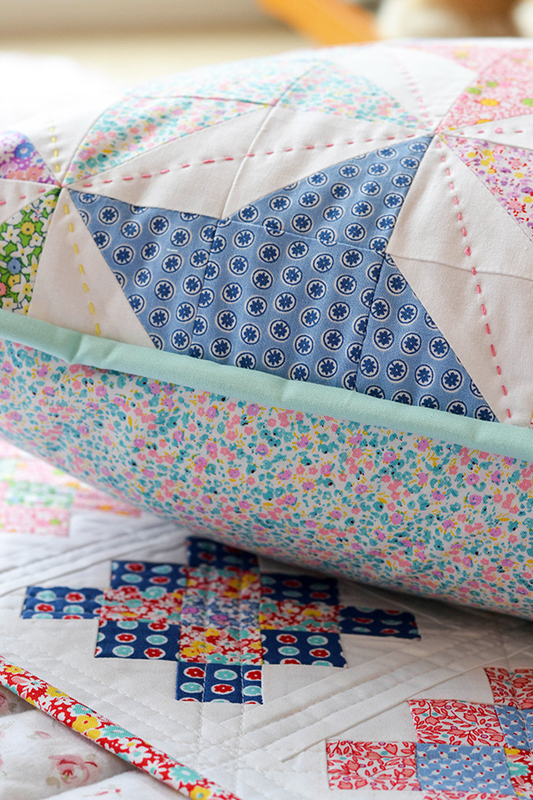 I think any quilt made with repro / 30s style fabrics should be hand quilted - it really is a match made in heaven. 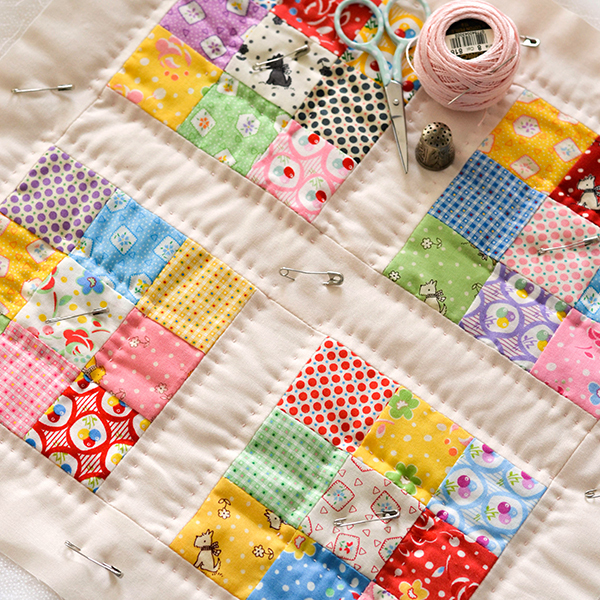 Unfortunately I don't always have the time for hand-quilting, but when I do I always fall in love with the final result! 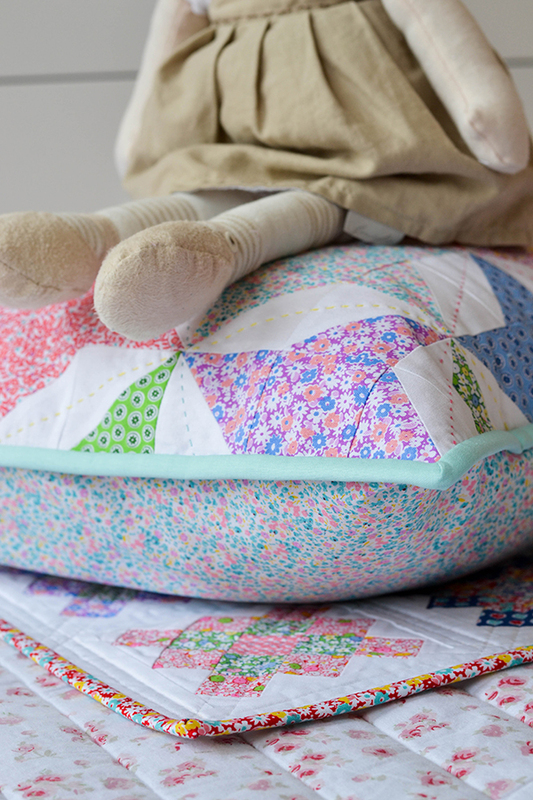 That perfect crinkly look is SO worth the effort. 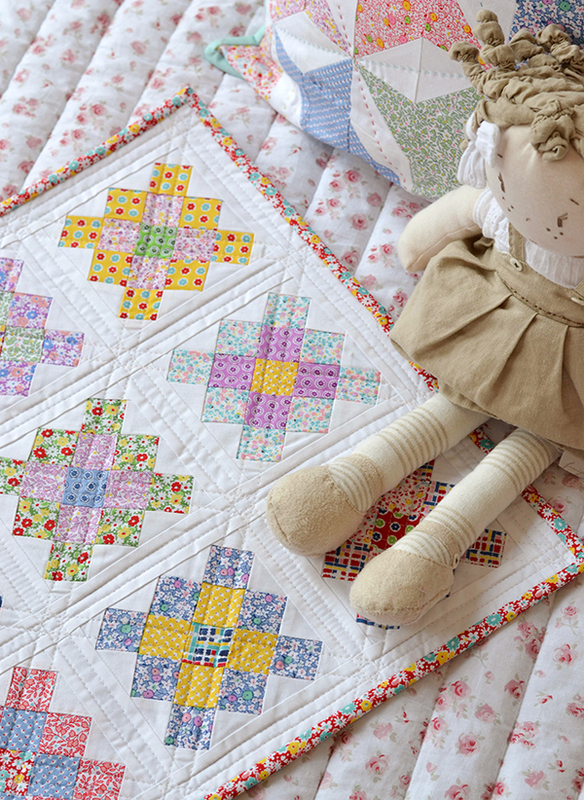 For my hand quilting I use DMC perle cotton in no 8. I also use a ruler and a Pilot Frixion pen to mark little dots on the fabric where I want the stitches to go. 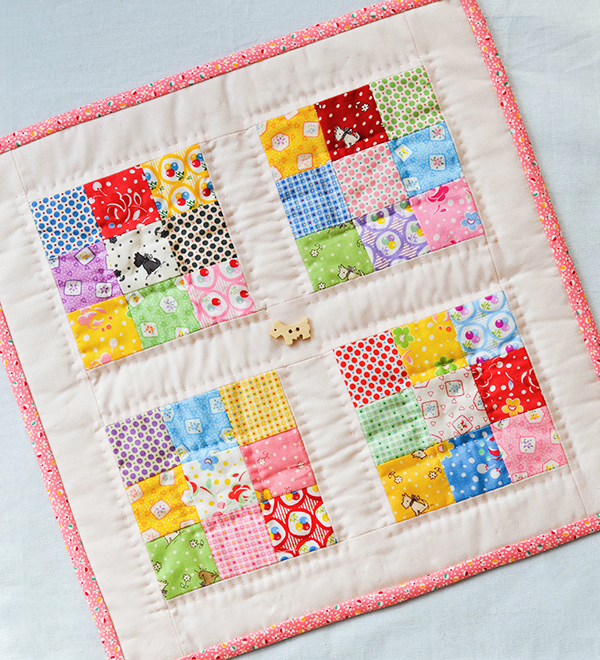 Then I can take the quilt on my lap and quilt away, without worrying about the evenness of my stitches. I like to space my stitches 1/4 inch apart and 1/4 inch away from the seam, and I keep them very small - almost like little dots - catching only 2 or 3 threads of the fabric in each stitch. After the quilting is finished I give it a quick blast of steam with my iron to remove the pen marks (I don't press the fabric directly as I don't want to ruin the gorgeous crinkles!). You can also use a hairdryer instead of an iron to get rid of the pen marks. 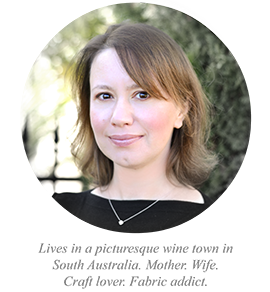 It's been a super exciting (and busy!) few months for me and I have some news to share - but more on that very soon. 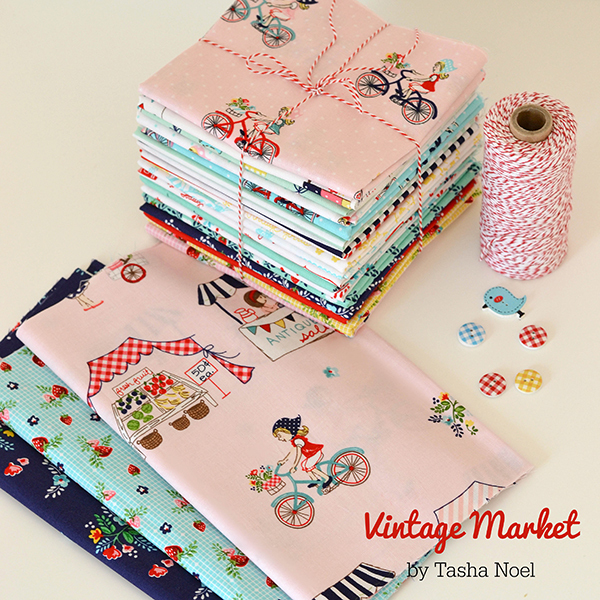 My main project currently is a baby quilt using Tasha Noel's gorgeous new line Vintage Market which I have found the absolute PERFECT pattern pairing for. Pop over to my Instagram account if you would like to see some progress shots!